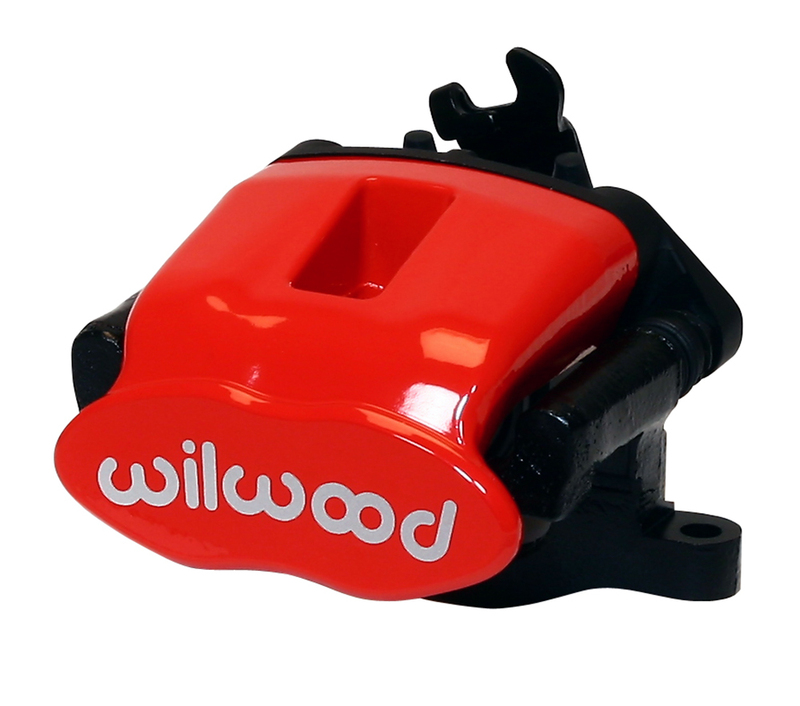 Wilwood's Combination Parking Brake (CPB) Hydra-Mechanical Caliper uses hydraulic pressure for stopping and a mechanical locking mechanism for a parking brake. This redesigned unit provides new options for drum brake conversions and disc upgrades on rear axles that are not conducive to internal shoe systems. This caliper, when matched with the correctly proportionate rotor diameter, provides balanced bias and brake performance for use in conjunction with front wheel brake upgrades. The CPB is a single piston floating design that attaches to a fixed radial mount bracket. The floating mount allows the caliper to maintain perfect alignment when the cable actuated mechanical parking brake lock is engaged and then released. 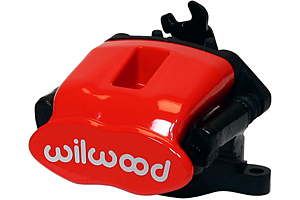 The floating mount also keeps the caliper in correct alignment over the disc and prevents excessive pad knock-back on c-clip rear axles with measurable side play. As the pads wear, the caliper remains centered over the disc. Radial mounting provides nearly unlimited attachment options. Axle flange brackets can be configured to mount the caliper at any height within the compatible rotor diameter range, or lateral position relative the hat and rotor offset. The caliper is compatible with rotor diameters from 11.00" to 13.00" and is available in two models for either .81" or 1.00" width discs. The parking brake lock is cable actuated. Connections are made with common cable ends that use a 1/2” cable housing end on the stop bracket, and a 1/8" to 9/64" cable with a crimped or welded ball end. The caliper will accept the OE cable on some vehicles. 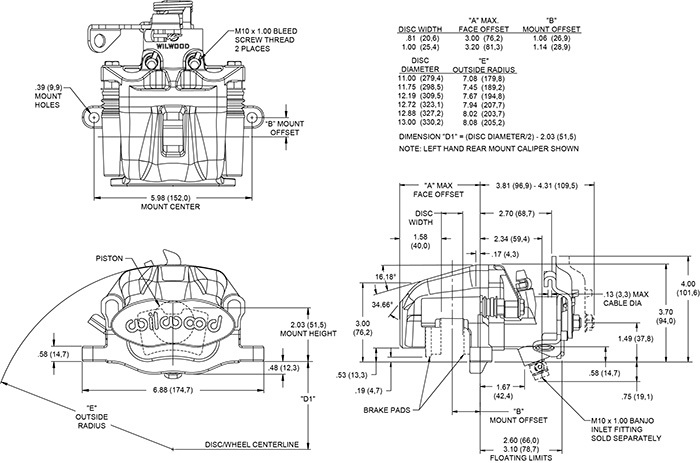 For other vehicles, new cable ends can be ordered to adapt the caliper to the vehicle's original cable system. For custom installations, aftermarket hand brake kit suppliers can easily configure the cable with the correct attachment end.